The producers of Plasmaworks LLC have brought us another game. This time not only fun but educational as well. If you're familiar with the fun game scrabble blast that you could play in laptops then you'll love this because it's pretty much the same. Just an IPad edition. After you're done downloading it, then once you click on it it'll pop you up to a blue menu asking you if you would like to play single player or multiplayer which I think is neat. Also it gives you choices like time management, if you want to see how many words you can get in a certain amount of time I would chose it. After you pick what you want there will be 6 by 7 stacked letters, a total of 42 unscrambled letters. The blocks around the letters are yellow and the letters inside are black. The next step is to try to make words with the letters you have. The longer the word is the more points you get. Also the letters with the least amount of words that it's in also are more points. For example you would get more points for a word with the letter Z in it than the letter A because A is in a lot of words and Z is in a small amount. Another neat thing about this app is that it's really fun to play because it's a game that also teaches you words. If you can't think of any words then you can just guess and see which ones are actually words. It's really a good app for teachers so if they want their students to learn in a boring way no one would want to. But because it's a fun game and educational, kids would want to play it. last year when our teacher showed us the game Scrabble Blast last year everyone was playing it because it was the only game you could play in workshop. I would highly recommend this app. guide you through your chemistry class. It was created by iHelp NYC. This app is anything but short of knowledge with 80 video lessons on chemistry, but it doesn't stop there. It has more cool activities and helpful tools. The app itself is free but upon trying to try certain things I had to pay to use them. To purchase this app you must have a iOS 7.0 or later. This app is beyond capable of helping you pass chemistry. As mentioned before, this app holds 80 useful lessons, ranging between 8 minutes to 30 minutes. Lessons clearly describe how to use it/how it works by showing you on the screen. If that wasn't enough each video throughly describes what is going on in the video. The learning doesn't stop there. Tapping on virtual flashcards I was brought different categories to help me memorize terms and study. Such as common element symbols. An example is a flash card pops up with silver. By tapping on it, the flash card flipped itself over to reveal it element symbol which in this case would be Ag. It's quick and easy to use. Tapping on tools brought me to a large and colorful periodic table. If I tap on a symbol, the app supplies me with information such as, the element number, the element name, the element symbol, and the elements atomic mass. It is very useful. In the top two corners there is a molar mass calculator and a unit converter. But as I tries to use them I discovered that I had to pay to use them. Now by tapping on the last page there was a large equation sheet. The equation sheet is pretty much self explanatory. It shows you equations to certain things such as, density, percent yield, molarity. The equation sheet is very easy to read and use. There are six information filled pages to help you. So overall the app is a fantastic academic tool, if I had to recommend this app for someone, it would probably be for a high school student that plans on taking chemistry. The app would help the student better understand the material they are going over in the classroom, with the videos, periodic table, tools, and the equation sheet. The flash cards could help them study for an upcoming test. 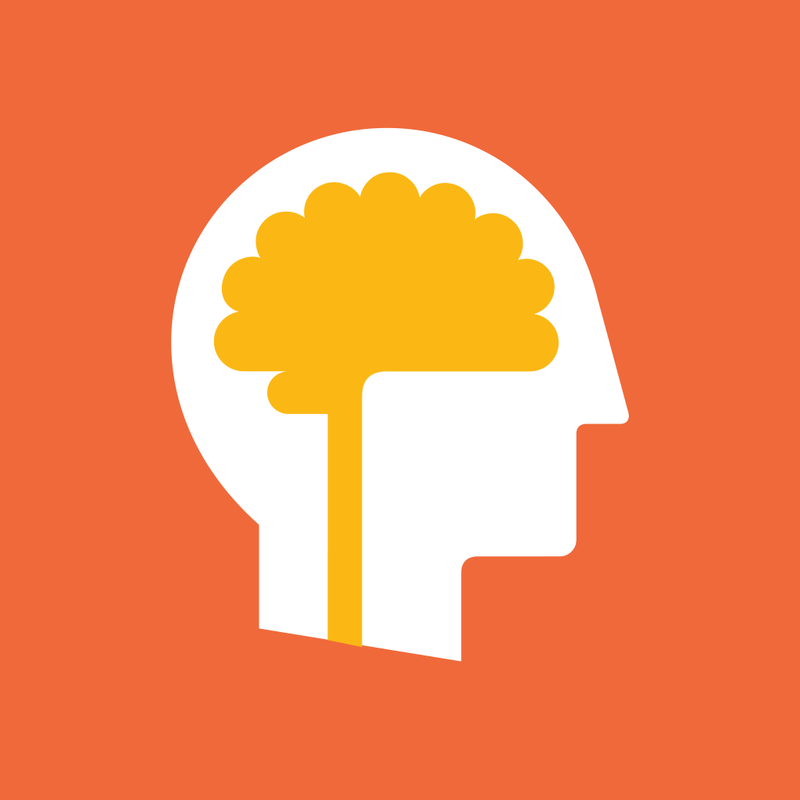 Lumosity was created by Lumos Labs, Inc. It wil help you with memorization. To download this app it requires iOS 6.0 or later. Currently, it is version 2.92. Lumosity itself is free but does offer in-app purchases. I would recommend this app for grades 5 and up for understanding all school subjects. Once your have downloaded and opened up Lumosity, you will find yourself in a home screen where you will have a choice of signing back in or getting started on your app! If you chose "Getting Started" it will take your through 5 multiple choice questions where you can pick more than one answer. What the questions consist of it your: memory, speed, attention, problem solving, and flexibility with your brain. After your results from that short survey, Lumosity will design you games that fit your needs. I consider it to be my "personal trainer" for my brain. The games look like colorful, fun, friendly, and exciting games. Sometimes I think about how are these helping my brain because I get so into it! Also, most of the time, when my day is considered "over" to Lumosity I go back and I mostly like to train my memory a lot more! I do use Lumosity as much as I personally can! I even think adults would really benefit somehow through Lumosity. One out of two things I would recommend is making more "childish games" for children to almost get addicted to and want to comeback for more. Second, thing is having a settings area wear people may want to turn of the sound effects Lumosity has to offer (even though there is barely any, only on a few buttons) just so users may want to listen to there own music. Other than those two little things, I highly encourage you to download Lumosity! Do you want a app that is good for drawing or sketching? Well this app is called Art Studio it is a app all about drawing. The people who developed and created this app are Sylvester Los, Paul Knight, Corliss Blakely, and Renata Los. This app was downloaded on all of our schools iPads and that told me right from the beginning that this app has to be good. This app is something that would be good to use in art class especially. Say your teacher gives you a drawing project to do at home and bring into class this app is what you could use. This app allows you to pretty much draw anyway you want to. There are several different colors you can use such as colors in the rainbow plus neon colors and light colors. There are different utensils you can use like a marker, pencil, or even a highlighter. You can edit any picture you want. You could even draw a mustache and a beard! You can add text or captions to describe what the picture is you have drawn. You can draw something and then make several replicas of it and what I mean by that is that there is something called a stamp which you can draw something and then copy it which then makes hundreds of replicas that you can use over and over again. Over all this is a really good app. Good for school use or just for fun. I use this app all the time and I'm not using it during school hours. I use it at home to play around and draw without wasting paper. Using this app it is twenty time better then actually wasting a ton of paper from messing up. While on this app you can erase it and not have to worry about any marks being left on the "paper". You have to try this app! Doctors, and students like us that are in science class and are learning about the body and for students that are in med school this app could become their best friend. 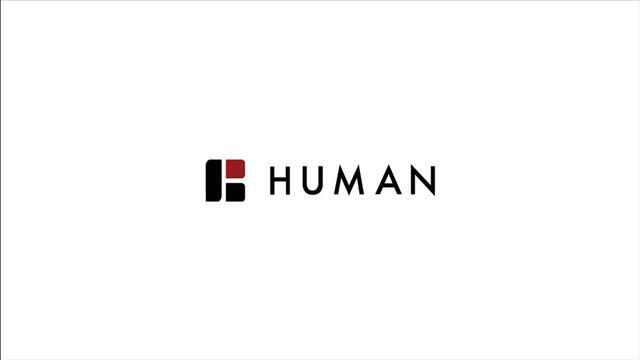 No one will be able to resist this app, BioDigital Human. This is a great biology app and is great for teachers that want to show their students. 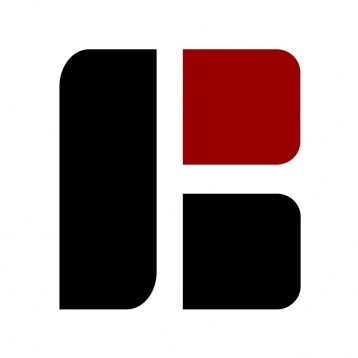 The creator of the app is BioDigital incorporated. BioDigital Human requires IOS 6.0 or later. It is comparable with the iPhone, iPad, and iPod touch. are a science teacher then go to the App Store and get this app right now, your students will not be able to resist going on it because of the amazing 3D affect and the best thing about the app is is that it is free. When you first open the app, a body will show up. You can pinch and pull and if you want to then you can remove the skeleton or the muscles with just a push of a button. You go up to the top right of the screen and there will be three squares stacked on each other. Click on those squares and it will come up with the Anatomy layers, just click on one of the layers and next thing you know that layer will be off of the body in front of you so you can get a better view on what you are looking for or looking at. Another really cool gadget on this app is that if you look at the bottom of the screen there is three lines. If you click a body part and have the body part selected then click the three lines, it will give you a description on the body part you have selected. And that's not all there is an option at the top left corner and it says my human. If you click on it then three other options will come up and you can either look at the body, the eye cross section or the heart anatomy. Now it's your turn....take my word and go get this app. It will help you if you are having trouble as a med school or if you are a doctor and you want to show your patient what there problem is or whatever you need to do. Just trust me on this because after you get this app, you will be in love with it. Think Fast is an app that will reel you in the more you work on it, it is a good app for social studies, it has great history facts from the past. Think Fast is created by WNET, it's free and it's available for iOS 1.0 so it's easy to get. It doesn't have any requirements to get it, it's easy to download and fun to play. The app is fun if you like history and it is pretty luring if you play and get into it. When you go on and play it will ask you which chapter you want to play on and you can choose either one, mission one is with Royce starting in 1770 and mission two is with Lucy starting in 1850. If you choose mission you have to chase something but you have to go through a series of questions to answer in order to get to the end and find what ever your supposed to be looking for. If you choose mission two you have to help get a message to someone you'll also be asked a series of questions to get to your objective. You will also be timed on your adventure. Chapter two teaches you about slavery like the Underground Railroad, certain people like slave owners and certain areas about slavery and slaves. Chapter one teaches you about when the pilgrims lived in America, about Ben Franklin, Jon Hancock, and acts like the quartering act. I would recommend this app to people who are either learning about slavery or if you even like history because I'm not a big fan of history but I like this app a lot and I think it is very fun, luring, and interesting. This app Bluster is a game for students to learn more about rhyming, adjectives, prefixes and suffixes. So this is a language art app. 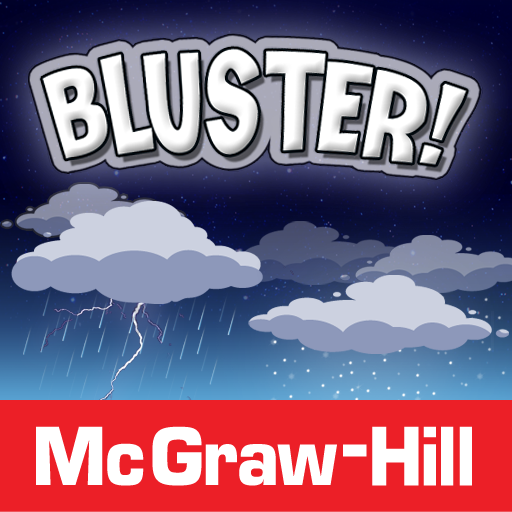 The creators of Bluster is McGraw-Hill School Education Group. In order for this app to work properly you iPhone/iPad/iPod must have an update of iOS 5.0 or later. Once you've opened the app there is the sound of the pouring rain with crashing thunder. It will show a city with a rain cloud over it. The dark colored cloud with have rain and accessional lightening. Three orange buttons with white lettering will be on the screen. The top one will say play. Then the one bellow it will read honors. The very last one says how to play. If you tap the button that reads play then you should see three sky blue slides. The first one is how many players you want to play with. If you slide the first sky blue slide there will be three options; single, team and versus. The next slide down has another three options for the levels ; level two, level 3 and level 4. The last slide has options for what subject you want to play with; prefixes and suffixes, adjectives, and rhyming words. Once you choose your options there is a orange circle that says ok in white lettering. You tap that after all your choices. There is going to be different rules for different options. Let's say that you chose single, level 2 and rhyming. You would get a list of words ( You get a list of words for all the options ) and you would have to slide through the words to find three rhyming words. There will be three dark blue spaces above so you are able out the rhyming words. So you would drag one of the words from the list and drop it into one of the three blue spaces. You have a limited amount of time to get it done. Personally I think this app should be used for elementary school students. It's perfect for all ages. But during this app I got easily bored and didn't want to use it. So if you chose to get this app try using it on younger children instead if junior high students. If there was to be any improvement on this app I would recommend that it should have more levels and more options to chose from. Like the creators should put nouns and verbs in there. This colorful, interactive biology application, made by HudsonAlpha Institute for Biotechnology will help students of all ages understand the anatomy of organisms' cells. Version 3.2 works on IOS 4.3 or later. Icell is 18 megabytes, and is most recently updated on November eighteen 2011. Icell is compatible on iPhone, iPad and iPod touch. As you open Icell, 3 boxes labeled Animal, Plant and Bacteria with an animation in each show on the main menu. After selecting an organism, a huge cell with a membrane will appear. In the bottom left corner there is a box with 3 settings: basic, intermediate and advanced. After selecting one of these, then tap on a part of the cell and the app will zoom in on the part you tapped on; Writing then appears explaining what that part of the cell does and what it is, the writing is of the difficulty you selected. For example a basic definition of nucleus is: "The nucleus holds the genetic information for the cell". An intermediate definition is: "The nucleus is a double membrane-bound organelle that acts as the central storage area for the genomic DNA. The DNA shown inside the nucleus has been tightly wound around proteins to condense its overall size. An advanced definition is: "The nucleus is where the DNA is stored and replicated and where mRNA is transcribed. It is surrounded by the nuclear envelope, which is a double-membrane structure with pores that control intake and export. The DNA in the nucleus shown here is tightly coiled around a number of proteins known as histones to reduce its overall length. The nucleus also contains the nucleolus where the ribosomes are assembled before being exported to the cytoplasm". Swiping across the cell rotates and moves the cell, also pinching and pulling zooms in and out for an in-depth look at the cell. I recommend Icell for students ages ten and up because the explanations go from very basic, all the way up to college level writing. This is a very exciting, interactive, colorful biology application that explores the iPads' touch screen capabilities with manual zooming in and out and rotating. Students will learn an extensive vocabulary and cell anatomy. I highly recommend Icell to all students ten and up interested in biology. Ever looked for a useful educational app? The name of this helpful App is called Maps. 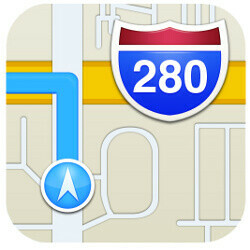 Maps is a creative way of when your trying to go places that you might want to go to. This app is also free and very useful for education I would recommend this for older kids 10+ meaning kid in 3rd grade+ it's very complicated harder for littler kids to read and understand the uses. If I wanted to type in my address and where in Maine it is it would work it gives you the place and you have three different ways standard which shows this in map version, another called hybrid which gives you earth like quality and satellite which is pretty much the same thing. When you want to get to you want to search this you have to hit directions and it will take you there. Maps also gives you a wide variety of different things like tourist attractions like different parks, places to eat out, theme parks,and many other options to look at. It teaches you the value of directions it has everything you need. Anywhere I wanted to go to I found the directions easily and there isn't any glitching involved. The loading also works really great and gives helpful information like where in that era you have traffic,places to eat,hotels,shopping etc.. in other words anywhere helpful to know about. Directions on how to use this is you click the app Maps then you pic a setting and. You zoom in to the state the place is and then you type it in directions by searching and you zoom in to the place is and then you type in the directions by searching in the search box your place it will show you it on there in just seconds you are there. I would like if this app had better graphics and I wish they had added pictures of the places and details like that. But overall I would recommended this to users who want this creative educational app to help them find places they might want to visit. I also find this very helpful to children and adults. What could be better than learning a new language? Well that would be being able to do it for free! Apple's 2013 app of the year, duolingo version 3.3 brings language learning to a whole new level. Learners are presented with an app so easy, that they could learn a language in no time, and without the hassle of regular classes. Upon opening the app, learners are presented with a broad selection of languages to work on. Once they select a language, they set a goal for how often they plan on visiting the app and working on their skills- don't worry though, changes can always be made later by clicking on the "change goal" icon on your home screen profile. Your profile is a place where you can track your goals, and lessons that have been unlocked are displayed in a colorful manor, supplemented with lively drawings showing glimpse of what the lesson is about. Scrolling down, learners can get a look at all of the lessons to complete in order to master the language. Each vocabulary section has it's own icon, by tapping on one, you are transported to a series of lessons that must be completed in order to finish the vocabulary course. In each course, learners are asked to craft, translate, and speak, words from the vocabulary lesson along with previous vocabulary words, and sometimes are asked to use multiple choice. In each lesson learners have three lives, each time they give an incorrect question, they loose one. When they run out of lives, they have to re do the lesson. This way it is insured that learners fully comprehend the words before moving onto even more difficult vocabulary. Each time a new lesson is completed, the new vocabulary is carried into all other lessons after. This app is great for both people who want to learn a new language, and for people who are already learning one and want to supplement their vocabulary. It gives people a hands on learning experience without the burden of memorizing boring vocabulary. This app would be most enjoyed at home in a quiet space, because speaking and listening are a big part of the learning process. If you must, there is an option to turn the microphone off and of course there are always headphones that work for for listening. Overall this is a great app that will broaden horizons. Explain Everything is an astonishing app the uses all of the iPads capabilities. There is a small fee of $2.99 to buy the app but it is completely worth the price. The app was developed and published by MorrisCooke and requires IOS 5.1 or any version later. When you open the app the menu gives you the opportunity to create a new presentation or continue on a previous project. There is an opportunity to create a color scheme which is a great way to customize your project for the perfect occasion. When in the app, you have the opportunity to completely customize your presentation. No one will be able to resist the temptation of drawing on the screen in any color imaginable. Everyone can use the simple process of touching the pencil icon and drawing whatever they want. Anyone age 5 and up can use Explain Everything to organize information and create a one of a kind project. While creating your amazing presentation there is a bar, that with the touch of a button you have all kinds of options. You can have a laser pointer, the ability to insert pictures or videos, add text and draw or write with your finger. If you run out of room testing all the cool features, with a pinch and a pull, you can zoom out and have more space. If you decide to put a picture or video into the presentation, you can crop, rotate and draw on the picture to fit your specific need. When you have the perfect finished product it takes 2 taps to export your work to either camera roll, YouTube or change it into a different file format. Explain Everything is not just some app that kids play on to record mediocre projects, it can also be used in extremely professional presentations. It can be used for the regular elementary level project that has some words and a couple pictures. Also, you can make a more professional presentation that will wow your audience. There is a button that when pressed will record your every word, press or swipe on the screen. So when it is time to show the final product to the audience the whole presentation is prerecorded and ready to go. That means you can talk to the audience while drawing a picture, using the laser point to show important points and have a picture pop up but it is all prerecorded. So if you get stage freight or just don't like presenting you can have the whole presentation prerecorded and all you have to do is press play. The mind, we should be able to use it to its full potential. Some people struggle with things like memory and focus and so on. If you are one of those people this app, Fit Brains Trainers, is for you. This app was created by Rosetta Stone Canada Inc., and requires iOS 5.0 for use. This app costs no money what so ever until you upgrade to the full version. The app is currently in version 2.1 and was last updated on March 20th 2014. The app download takes up 25.4 MB of space. Fit Brains Trainer is a app that provides games and activities to help the human mind. Most of these games and activities help with memory, focus, mind speed, and mental capacity. Each category has multiple games. Memory has at least two, and speed has about three. For every game there is a score count, and a time limit. Your goal is to finish as many questions as you can before the time runs out. And at the end the game will tell you your score, then you will move on to the next game. This app has very good use of colors, images and sound. This application has very bright colors such as red, purple, green, and so on. All of these colors are used appropriately and correctly. The images used in the app are more meant to keep you interested, and they also lean towards trying to give kids something to look at. They will use images such as grapes, glasses, wallets and so on and so forth. Some of the images get a little dull and repetitive as you go on. But they are still appropriately used. There is no music during the games, but there are little sound effects as you play. For example there is little dings when you get and answer right or wrong. Also little noises when you tap on something. They didn't abuse the use of sound but there could be more of it. Fit Brains Trainer is a fun educational app. All around great to use, if your trying to increase you brain skills. This app isn't very boring, but if continue to play it for a long periods of time it will eventually get repetitive. Other than that, this app is excellent. I recommend that you play it daily if you are trying to increase in brain skills. But if you are just playing it for fun try it as often as you can. This app can defiantly help with school if you're struggling. Compatibility: Requires iOS 4.0 or later. Compatible with iPad. Do do you ever wonder what earth looked like 1,000 years ago? 1 million years ago? Even 10 million years ago? With earth viewer, the earth can be seen how it is today, and up to 4,500 million years ago; plus any year in between. When you open the application, you will be stunned at the 3-D graphics of the globe which takes up more then half of your screen. Located on the left side of your device is a bar marked off with years and time periods. Take a step into the past with a quick pinch and pull of the timeline. Earth viewer will allow users to grasp a firm understanding of earth from the beginning of time. Both children and adults of all ages will enjoy the extravagant graphics along with the straightforward quality of the app. Earth Viewer is an easy way to comprehend valuable information on prehistoric earth within minutes. Users can effortlessly pinch and pull at the globe to inspect different time periods in a more precise way. Another pinch and pull to the timeline located on the left grants you the power to inspect a time period in a more exact way, or even in a wider range depending on what information you're seeking. A swipe along that same timeline makes your globe slowly transform and shape shift as it once did millions of years ago. Located on the very bottom of your screen in another thin grey bar that allows you to comfortably change the information that appears scattered amongst your globe. Things such as mass extinction, major impact events, fossil discoveries and current city whereabouts in the past can be chosen to shown and not shown with the click of a button. Instead of a key, Earth Viewer provides small icons scattered about the globe that when tapped upon give you a brief summary on the happenings of that place throughout time. Additional information included in the app is amount of O2 and CO2 in the air, day length and also the direction of continents at different periods in time. I highly recommend this app for children and adults above 5th grade. Earth Viewer provides an easy learning environment for most ages in a way that will intrigue all sorts of buyers. Whether you're looking for a quick lesson to teach to your students or just some fun facts, Earth Viewer is a basic learning tool that will always have you returning to the app for more. Compatibility: Requires iOS 5.0 or later. Works with iPhone, iPad, and iPod touch. This app is optimized for iPhone 5. The Thai alphabet is a great, fun learning tool. 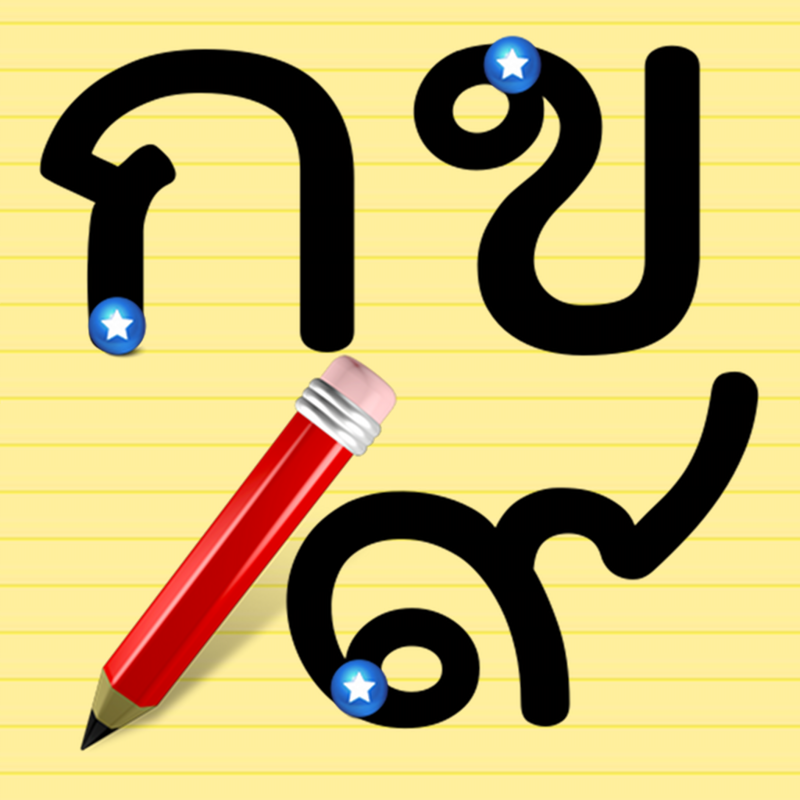 The Thai alphabet game is very good for parents who want to teach their kids to write Thai. Also it's good for preschool kids to play and learn Thai. It has several games that aren't hard and very fun to use. The Thai alphabet is a colorful kid friendly learning tool that I guarantee you'll love. By clicking you can here sounds and also as you play games on the home screen. While on the home screen it consists of a yellow and white background with the 6 options right down the middle of the screen. The music is a happy joyful toon that kids will love. Although after a whil it gets a little annoying but it is still fun to dance along. I even danced a little while checking out the app. When you I clicked on the first game you can write letters and numbers. Once you are done writing them it makes a fun sound that is quite enjoyable. It also includes games, color, music, animals and much more pictures to explore. When on the home screen you can choose between 6 different learning games. You can either write like a said before, connect letters and words, listen, guess, drive a car and click on answers. Even if you were not to get that answer right it would disappear and you can try you next possible answer until you get it right. Most of the games are very easy and have a lot of colors a lot more them the home screen. The background of not only the home screen but the games also have many different ones like a farm for animals, it also has forests and different seasons. The, oh the sound is probobly the best part. There are many different toons that you can jam out to and make noises along that make you want to keep on playing and learning so you can also here the next song. They probobly have at least 10 different songs to hear. In my opinion and probably many others this is an amazing app to learn Thai. I highly recommend it to download. This app would be great for not only kids but some adults might like it to. My experience of the app was a wonderful and to me exotic and much fun so I hope you download it and enjoy it as much as I did. Duolingo is the name of the cute animated app! This app is all about learning new spectacular languages! There is a large assortment of languages you can choose from as well! 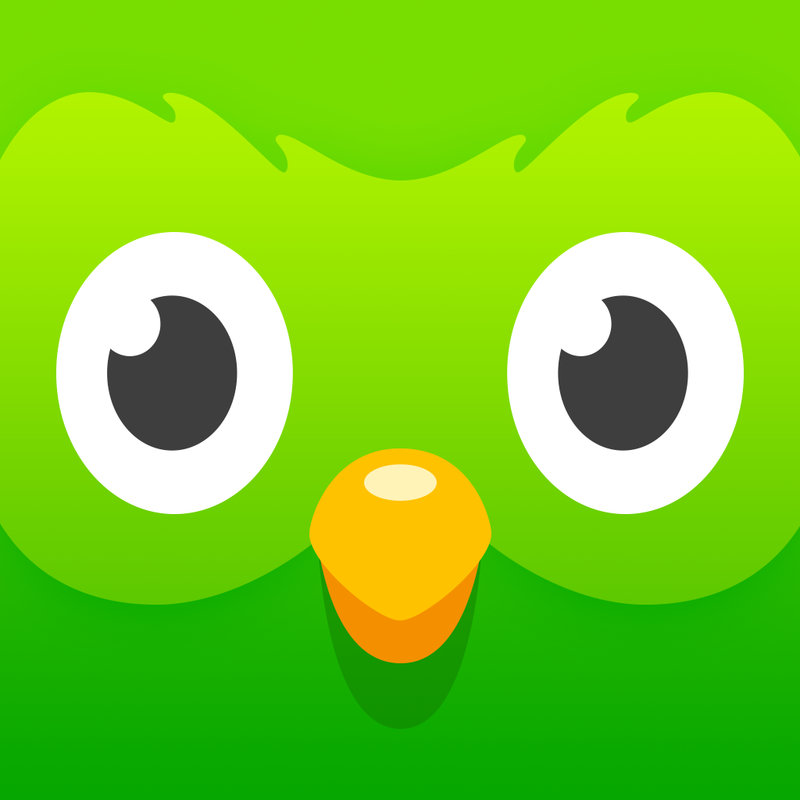 Duolingo is the name of the company that created this app, the platform of Duolingo is iOS 6.0, and the version is 3.3. Duolingo is a completely free app, no money involved, the only thing you need to do is make an account so you can sign in. When you first open Duolingo, there a few slides to show you a little about the app, and what you can do. One of the wonderful things you can do, is vs. your friends and see who can finish the language activities first. Once you finish the short slides, you will see a colorful, bright blue screen that tells you to sign in. You will be asked to make an account if you don't already. Once you have an active account, the fun will begin! Out of the huge assortment of languages, you may chose which one to start out with, you may practice more then one too, but you need to start out with only one. I know French, so I chose French to see what else I could learn. It then shows many sections, like the basics, food, animals and much more that you can learn about, in each level there is about four levels, and in each level there is about five to ten new words. The first section is basics #1, in the first level of basics #1 you have 18 activities, some repeated, within those 18 activities you are doing a number of different varieties in learning new words, depending on the language you chose, you will be able to hear, write, read and even speak the language you picked. Also in the 18 parts one or two might be when you have to chose the French word and you would have to chose from four pictures, which one show that French word. And with all of this fun, there is one more part, you can vs. your own friends, and have challenges, and see who gets to the end of the 18 parts first! I would defiantly recommend this amazing app. It has helped me in French so much already, and I have only been using it for about a week, right after I signed up, this app taught me so many new words in a very short amount of time! And if you want to learn more then one or two languages well this app ins perfect for you! There is so many neat languages you can learn. This is really a wonderful experience for every one, especially when Duolingo makes the learning fun! It seemed to make me eager to learn more! It is always great when learning is fun(especially learning new languages)! Produced by BioDigital Incorporated, this incredible App gives you an in-depth view of the human anatomy, along with intuitive gestures, easy interaction, and a wealth of information. As you open the application, you are immediately greeted by a 3D array of bones, muscles, and nerves assembled inside the halo of a man. The animated images are colorful, realistic, and as intricate as the actual organs and appendages of the human body itself. The meticulous, high definition models are quickly navigated across the screen with a swipe, and a pinch or pull for a closer, more comprehensive view. You will immediately be enchanted by the 3 dimensional, complex models and cross sections that you can spin with a small movement of your finger. By tapping on a part of the body, its name will appear at the top of the screen. By dragging your finger upwards, you may read about what you touched while you continue inspecting the model. The four icons on the top right of the screen give you the options to dissect parts of the body, remove anatomy layers, and take a photo or share it. With the image, you can save it to your camera roll, email it, or even turn on color mode to draw over the model in the picture. Exploring the "my human" tab on the top left corner of the screen allows you the options to download other models of parts of the body, systems of the body, or even diseases. You are allowed a maximum of five downloads without purchase, but you have the option of deleting models from your downloads section. Most of the models are free, but there are additional benefits you have the option to purchase. The app also gives you the option to create an account and has a setting where you can change the background color or turn off and on descriptions. Within the downloads, there is a search bar for easy access to the hundreds of models in the BioDigital library. On the right of the bar, there is the option to switch from male to female models. The models are elaborate and insightful, but the navigation is not so easy at times, as it may become glitchy if you move too fast or slow. Overall, the application has no major drawbacks and I vastly recommend it for all teenagers 13 and up, medical doctors/students, and the curious individual. I am positive you will enjoy the quality and accuracy of BioDigital Human. Do you want to find inspiration and improve your art skills? This is the app for you! The MoMA art lab app is eye-catching and modern. This easy-to-navigate app has 10 different fun actives for you to try, including create a line design, create a shape poem, and experiment with paint. This app will be awesome for brainstorming and making rough drafts of your work before you make the "real thing" so you do not make a mistake on your expensive supplies, and best of all, it is free! 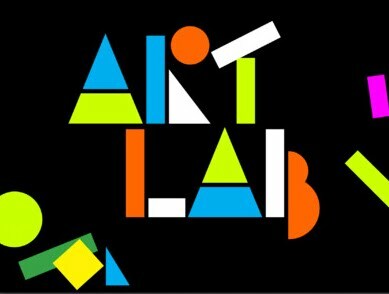 As the app loads, you see swirling shapes take form into the words "Art lab". Meanwhile, a catchy theme song plays in the background. The title screen opens up to a tutorial on how to use the app. Then a blank canvas appears and you are ready to create! An encircled "I" in the top left takes you to information about the MoMA museum, and explains why MoMA made this app. Here you can view the tutorial again. Under that is a lightbulb button that has many different ideas for you to try on and off the app. Press the scissors and a page with 9 different activities will appear. This is where you can find things like "create a sound composition" and "drawing with instructions". Under this you can caress your gallery and a small list of instructions. A big blank canvas in the middle is where you can create your own works of art. A scrollable bar at the bottom lets you add pre-made shapes to your masterpieces. Here you can also change the color and texture of your paintbrush. This app is great for everyone! Experienced artists can find inspiration and brainstorm, beginners and children will have fun practicing creating designs and pictures. I would recommend this app to art teachers and parents who are trying to encourage creative thinking among their children. I would also suggest making the projects in real life after you create them on the iPad, because then you can take the skill that you obtained through the app and out it to good use in real life. Teenagers who are looking for a fun and spectacular way to make great school projects will depend on this app. There are many ways to make your presentation with Explain Everything. The app Is educational and is a perfect thing to be on a students I pad. The seller of Explain Everything is Morris Cooke. And some related apps include (Final Argument, Stick Around, and Explain a Website). In the top left corner when you first open Explain Everything there is a + sign which let's you choose you kind of template you would like to use. There are four of these cool colored templates. Once you choose and open the one you would like to use there is a bar on the left side of the screen which let's you access many cool features including ( pencil, lazor pointer, eraser, and text boxes). On the bottom of the screen there is my favorite feature which is a microphone that can take recordings of your voice while you could have already drawn something and telling people about it with the lazor pointer. I usually draw while I am recording then switch to the lazor pointer so I can point things out on the drawing. I find it particularily useful for math and stem projects. I use it for math to explain math equations like the videos on Khan Academy. It is fun to act like a Professional person while recording your voice. U can add many slides to your Explain Everything project so you can have different pictures and have a longer presentation. With these slides you can add pictures then rotate them to make the slide look better. Explain Everything can be uploaded to many places including (YouTube, iTunes, Dropbox, googledrive, and simply to your camera role). The only problem with this app is it doesn't have the best save options. The saving is very just very confusing and gave me problems. You could only save a certain amount of projects saved which means when you fill the spaces up you will have to delete one to save another. Overall Explain Everything is a great app for teenagers and even adults. Great for schools and there students to have so they can have a fun and productive way to make superb projects and presentations.